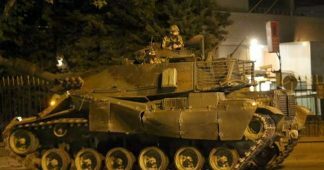 On July 15th, at around 23:00, the press reported a military coup d’etat in Turkey. In Ankara, shots rang out, and there were military planes and helicopters over the city. Within minutes, Turkish Prime Minister Yıldırım announced an attempt at a military coup. The main airports of the country were closed and many flights are delayed or canceled. Around midnight, martial law was imposed in the country. Events unfolded rapidly. The world’s media, under the control of globalist elites, began to cover events as if the rebels had almost succeeded. Media actively disseminated the rumors that President Erdogan had reportedly fled the country. In fact, the president was ready to fight to the last minute and urged the Turkish people to take to the streets to defend democracy: “I look forward to all our people on the streets, in the squares. I do not believe that those who attempted the coup have achieved their goal, and they will suffer the most severe punishment,” the Turkish President said. Hundreds of thousands of Turkish citizens came out onto the street. At about two o’clock in the morning, Prime Minister Binali Yıldırım said that the instigators of the coup were arrested. The head of Turkish intelligence Them Yilmaz confirmed this news. At about four o’clock in the morning, Erdogan addressed the nation and directly pointed out the instigators of the coup. The attempt at a military coup was undertaken by the supporters of the Islamist leader Fethullah Gulen and his movement “Khizmat”. Gülen lives in Pennsylvania in the United States and cooperates with US intelligence agencies. He is known as the main opponent of Erdogan, who was formerly his ally. It was Gulen’s structures that stood behind the notorious “Ergenekon” case when thousands of high-ranking military men were thrown in jail, including the entire leadership of the Turkish General Staff. Gulen’s network acted on orders from the US once the top brass Kemalists, whose ideologue was the prominent politician Dogu Perincek, raised the issue of radically accelerating Turkey’s course of rapprochement with Russia, Iran and China, and even withdrawing from NATO. Gülen’s structure penetrated up to the very top echelon of the government and intelligence services. Erdogan understood the danger of this sect only at the last moment, when Gulenists, once again on US orders, attempted to carry out a color revolution on Taksim Square by trying to unite Kemalists, liberals and everybody opposing Erdogan. The following purges, however, did not liquidate the whole structure. 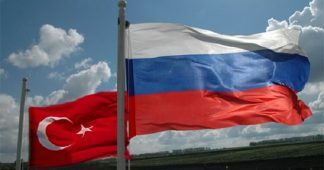 The pro-US military coup attempt was made at the very moment when Erdogan reversed his course in foreign policy and began to build a strategic partnership along the Ankara-Moscow axis, including changing his position on the Syrian issue. 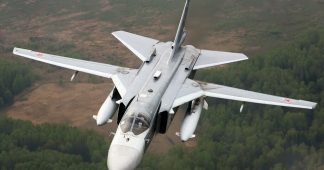 In order to prevent the creation of a Eurasian axis of Ankara-Moscow, the US attempted to organize a coup by resorting to their networks (“Khizmat” movement and the supporters of the Islamist leader Gülen residing in the United States and actively cooperating with US intelligence agencies). 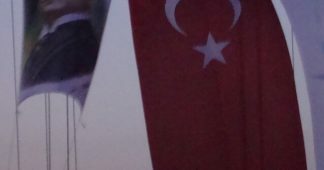 An important factor which incited the conspirators to decisive action was the previous disclosure of Gülen’s network of supporters in the armed forces of Turkey. 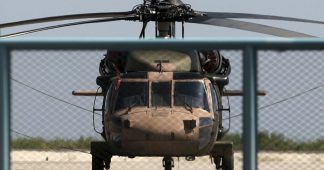 A week earlier, an investigation began on most of the participants of the mutiny mainly involving middle-level officers in the Air Force and Gendarmerie. They were accused of creating a parallel structure tied to Gülen and thus to his American curators. US intelligence agencies gave the green light to a coup in order to prevent the effective liquidation of their networks. Judging by the actions of the rebels, who bombed the President’s residence, the task included, as a minimum, the physical elimination of the president and prime minister. This way, even in the event of the coup’s failure, the pro-American Ahmet Davutoglu would have the best chance of coming to power being the only strong and popular leader left in the Justice and Development Party. However, the coup attempt failed. We can predict an escalation of tension between the US and Turkey, as Turkey may raise the question of withdrawal from NATO. The development of strategic partnership with Russia should be expected. The failed coup marked a change in the balance in the Turkish elite. Previously, they could be divided into three main groups: the Kemalists primarily made up from military circles (it was against them that the Ergenekon case was initiated), Gulen’s supporters, and Erdogan’s moderate Islamists. Following Ahmet Davutoglu’s resignation and the change of Turkey’s geopolitical course towards rapprochement with Russia and Syria, Erdogan’s foreign policy positions and his allies grew closer to the Kemalists. The fact that the military high command most of the army did not support the mutiny is evidence of the formation of an alliance between Erdogan and the Kemalists. Geopolitics plays a major role here. The Gulenists surely tried to enlist the supporters of secular Turkish nationalism while still leaving differences on domestic policy. But geopolitics proved to be more important. 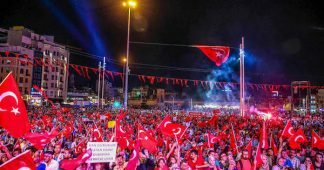 It is significant that in this situation, the Turkish people almost unanimously supported the not too popular Erdogan because his opponents carried with them the inevitable end of Turkey, as does anyone who is not working for national interests, but for the interests of moribund US hegemony.